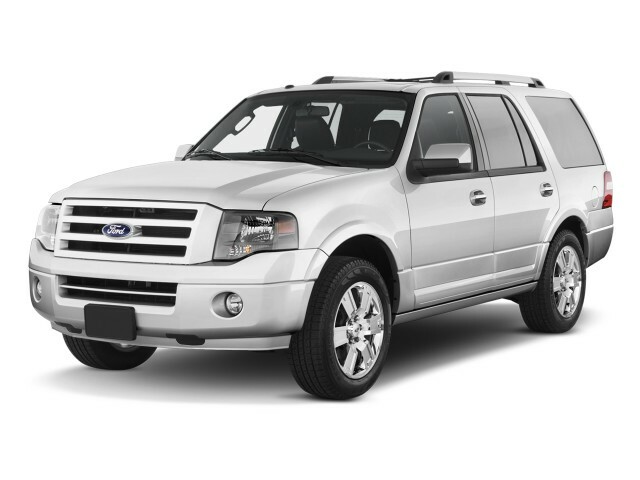 For those who have to haul people and tow, the 2011 Ford Expedition provides truck toughness in a well-rounded wagon. Most would agree that the Expedition is mammoth, trucklike, and rather conservative, but that doesn't seem to limit the appeal of its design. The 2011 Ford Expedition dates back to 2007, though the big SUV shows no sign of aging with its target group—those who value hauling and towing ability, and truck toughness, over style. While the Expedition is quite different from the F-150 pickup on which it's based, the similarities from the front are undeniable—although with respect to design details, the more rounded sheetmetal of the Expedition looks less up-to-date than that of the F-Series. The 2011 Ford Expedition performs reasonably well overall, with good handling for such a big, heavy body-on-frame truck; and while its V-8 engine can move this hefty SUV quickly enough, it's simply underpowered and outclassed when towing or fully loaded. 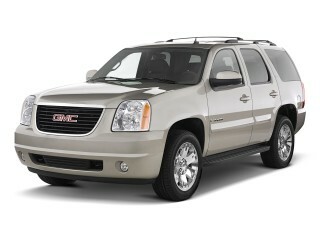 All Expedition models come with a 5.4-liter flex-fuel V-8 that makes 310 horsepower and 365 pound-feet of torque. This is matched to a six-speed automatic transmission that is responsive and smooth, driving either the rear wheels or all four wheels depending on the model. Despite its size, driving the Expedition is relatively easy—thanks to light but precise steering, and a suspension that does a great job reeling all that weight in. 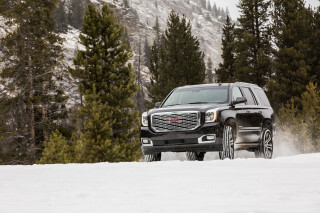 The net product is a mammoth SUV that doesn't always feel mammoth from behind the wheel. The only major criticism, other than the lack of engine power, is the Expedition's rather spongy brake feel and plentiful nosedive in hard stops. 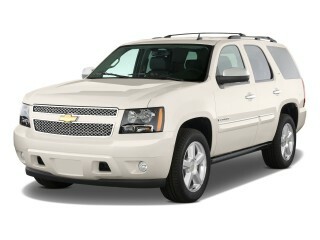 This large SUV has just as roomy and comfortable of an interior as you might guess in gazing at its gigantic exterior. Comfy front captain's chairs are standard on all models, and thanks to a wide range of adjustability in the steering wheel and pedals, folks of widely varying sizes should have no problem. The second row has adequate headroom and legroom for taller adults, and most passengers will find the third row accommodating for short trips. Although entry to that third row is a bit difficult in the standard Expedition, it's much easier in the EL model thanks to the wider doors. A PowerFold third-row seat is optional, allowing it to fold flat with the touch of a button, while a new, redesigned power liftgate is also available. Ford has moved the mechanism away from the ceiling, eliminating the hump that could obscure the driver's vision while backing up. The 2011 Expedition is available in XL, XLT, Limited, and King Ranch trim levels, and each of these is offered as a stretched EL version. Ford's SYNC voice-activated hands-free communications and entertainment system is a standard feature on XLT, Limited, and King Ranch trim levels. The pick of the bunch is the King Ranch edition, which offers a special trim and a unique leather interior. The only letdown across most of the model line is the cheap plastic panel that covers the top of the dash. The 2011 Ford Expedition has conservative—and somewhat dated—styling, but at least from the outside that doesn't limit its appeal. Most people would agree that the Expedition is mammoth, trucklike, and rather conservative, but that doesn't seem to limit the appeal of its design. The 2011 Ford Expedition dates back to 2007, though the big SUV shows no sign of aging with its target group—those who value hauling and towing ability, and truck toughness, over style. While the Expedition is quite different from the F-150 pickup on which it's based, the similarities from the front are undeniable—although with respect to design details, the more rounded sheetmetal of the Expedition looks less up-to-date than that of the F-Series. Against other vehicles of this size and weight, the 2011 Ford Expedition handles pretty well; but it's short on power with a full load. The 2011 Ford Expedition performs reasonably well overall, with good handling for such a big, heavy body-on-frame truck; and while its V-8 engine can move this hefty SUV quickly enough, it's simply underpowered and outclassed when towing or fully loaded. There's almost no choice with respect to powertrains. 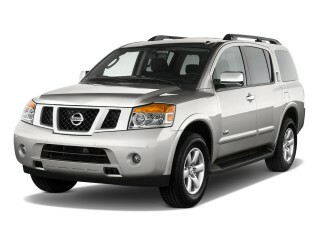 All Expedition models come with a 5.4-liter flex-fuel V-8 that makes 310 horsepower and 365 pound-feet of torque. This is matched to a six-speed automatic transmission that is responsive and smooth, driving either the rear wheels or all four wheels depending on the model. 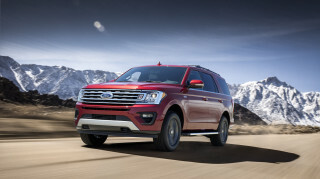 Despite its size, driving the Expedition is relatively easy—thanks to light but precise steering, and a suspension that does a great job reeling all that weight in. The net product is a mammoth SUV that doesn't always feel mammoth from behind the wheel. The only major criticism, other than the lack of engine power, is the Expedition's rather spongy brake feel and plentiful nosedive in hard stops. The 2011 Ford Expedition has a spacious passenger-friendly interior; it also rides better than most trucks. The 2011 Ford Expedition has just as roomy and comfortable of an interior as you might guess in gazing at its gigantic exterior. Comfy front captain's chairs are standard on all models, and thanks to a wide range of adjustability in the steering wheel and pedals, folks of widely varying sizes should have no problem. The second row has adequate headroom and legroom for taller adults, and most passengers will find the third row accommodating for short trips. Although entry to that third row is a bit difficult in the standard Expedition, it's much easier in the EL model thanks to the wider doors. A PowerFold third-row seat is optional, allowing it to fold flat with the touch of a button, while a new, redesigned power liftgate is also available. Ford has moved the mechanism away from the ceiling, eliminating the hump that could obscure the driver's vision while backing up. The 2011 Ford Expedition has most of the elements of a very safe vehicle, but it lacks the crash-test results to back it up. Although the 2011 Ford Expedition lacks up-to-date crash-test results, it continues to have a strong set of safety features. Last year, the Expedition gained Ford's Trailer Sway Control as a standard feature; it works in conjunction with the Expedition's stability control to detect trailer sway through the motions of the vehicle and to take measures—such as applying precise braking and reducing engine torque—to bring both vehicle and trailer under control. Other standard safety features include side-impact airbags and a three-row Safety Canopy rollover detection system with stability control. 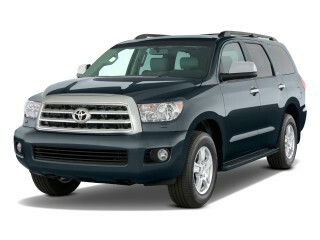 There's also an optional backup camera, which we strongly recommend due to the Expedition's poor rear visibility. Also available is Ford's programmable MyKey system, which allows parents to limit how fast their kids can drive the SUV. However, there's a shortage of recent crash-test results. 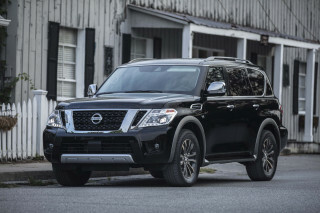 The Insurance Institute for Highway Safety (IIHS) hasn't rated the Expedition, and the National Highway Traffic Safety Administration (NHTSA), which redesigned its NCAP testing program this year, hasn't yet tested this SUV under its more stringent new tests. 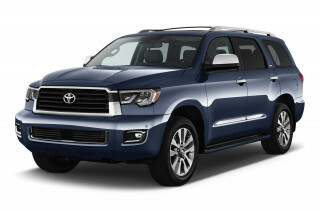 In federal ratings prior to this model year, the Expedition received five-star ratings in all front and side impact categories. There's no shortage of tech goodies in the 2011 Ford Expedition. The Expedition might share a lot with the F-150 pickup, but it's no utilitarian workhorse. Making life easier is a generous equipment list that includes an optional DVD-based navigation with a 6.5-inch color touchscreen and voice activation, as well as a 340-watt AM/FM stereo with MP3 playback, six speakers, a subwoofer, and a standard iPod jack. A keyless entry keypad, heated power mirrors, air conditioning, an electrochromic rearview mirror, illuminated visors, and a leather-wrapped steering wheel are all standard across the Expedition range. Also available is Ford's MyKey system, which allows parents to program a speed limiter, speed alert chimes, and additional belt reminders. A voice-activated navigation system with Sirius Travel Link is also offered, providing access to up-to-the-minute information and entertainment content such as traffic and weather updates; and the new SYNC Traffic, Directions & Information system allows even those without the nav system to use a Bluetooth-compatible phone to get directions. The 2011 Expedition remains one of Ford's few brownfields, and in some ways it's a relic of over-consumptive days past. With EPA fuel economy ratings of 13 or 14 mpg in the city and 18 or 20 on the highway, the 2011 Ford Expedition sure isn't very efficient or green. That said, much of it depends on use. If you use all three rows most of the time, and park it when it's just going to be the driver, the 2011 Ford Expedition can be a reasonably green vehicle. Also, for those more interested in petroleum independence than environmental impact, these big trucks are E85 (85-percent ethanol, 15-percent gasoline) compatible, but then consumption rises to an EPA-estimated 9/13 mpg.